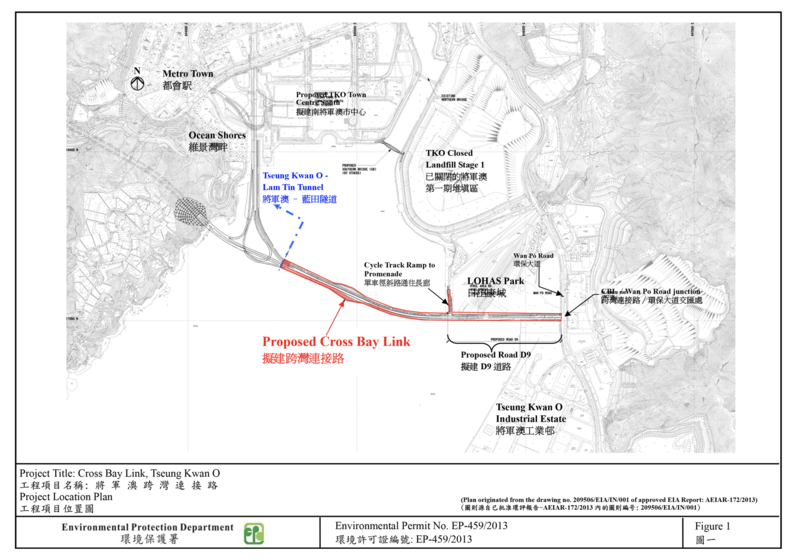 The Cross Bay Link is a dual two-lane carriageway of approximately 1.8 km long with cycle track and footpath across the Junk Bay connecting the proposed Tseung Kwan O – Lam Tin Tunnel in the west and existing Wan Po Road near Area 86 of Tseung Kwan O in the east. 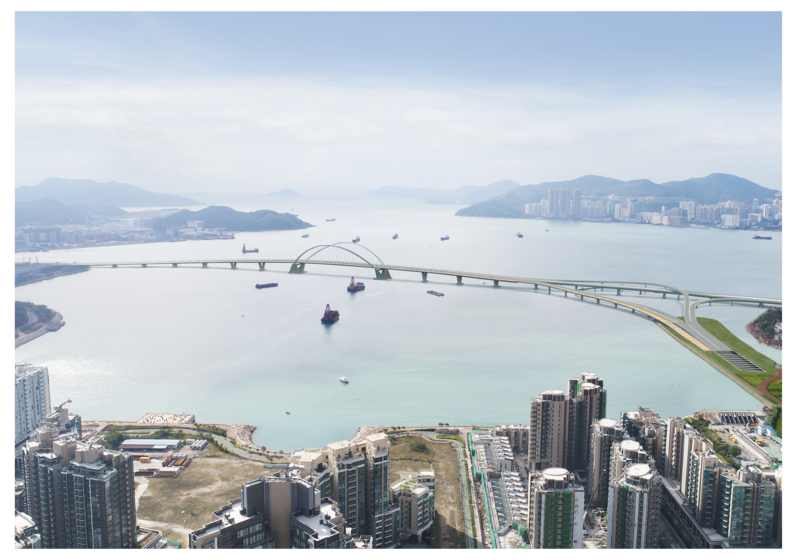 The Cross Bay Link in conjunction with the Tseung Kwan O – Lam Tin Tunnel will relief the busy traffic of the existing Tseung Kwan O Tunnel and its connecting road network. (d)	Implementation of ancillary works, including environmental mitigation measures, and implementation of an environmental monitoring and audit (EM&A) programme for the works mentioned in (a) to (c) above.